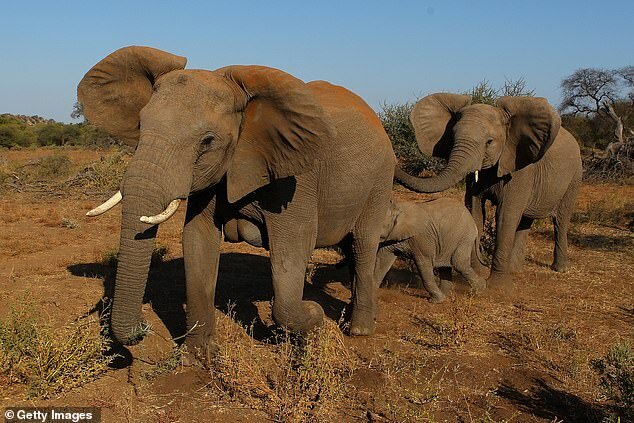 The committee decided to recommend lifting the ban last Thursday, and the country’s minister of local government and rural development Frans Solomon van der Westhuizen advocated ‘regular but limited elephant culling’, NPR reports. Elephant meat canning – including for pet food production purposes – was also recommended by some. 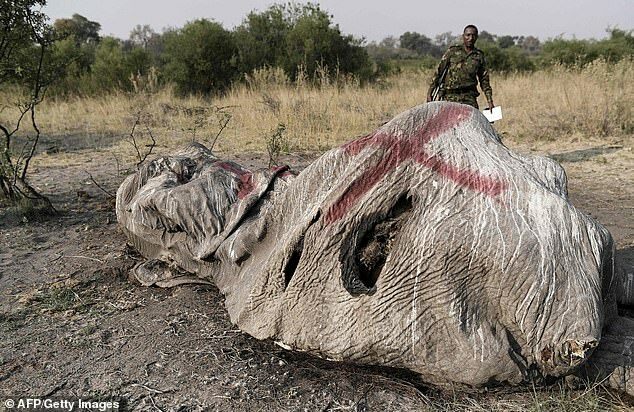 According to reports Markus said rural citizens of Botswana have grown hostile toward elephants, especially in the north where he said the animals have cut maize yields by nearly three-quarters. 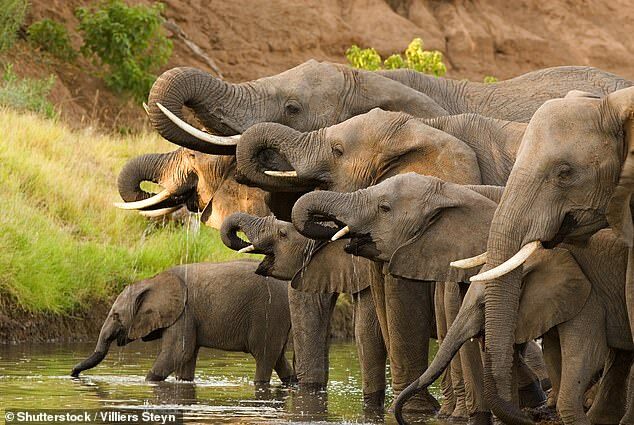 Botswana is reportedly home to 130,000 elephants, according to the Great Elephant Census, but concern has been rising regarding the ‘growing conflict between humans and wildlife’. The country’s Government has also said pinpoiting the precise elephant population is difficult partly because herds can roam across borders into other countries. Botswana’s consideration of lifting the ban has drawn heavy criticism. The Telegraph reported that an elephant conservationist who works with the country’s government called the proposed cull ‘short sighted’. The conservationist, who spoke on condition of anonymity, told the paper: ‘Botswana does have too many elephants, and there is huge elephant human conflict. Online campaign group Elephants DC, which advances anti-poaching and anti-smuggling policies and has 35,000 Facebook folloewers, said: Botswana in the news for all the wrong reasons. 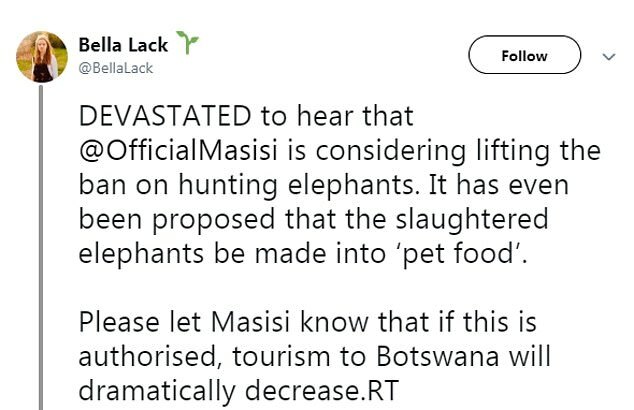 One Twitter user said: ‘DEVASTATED to hear that @OfficialMasisi is considering lifting the ban on hunting elephants. It has even been proposed that the slaughtered elephants be made into ‘pet food’. Regarding the idea that the African democracy could be set to cull the animals, one Twitter user said: ‘Conservationists around the world must join forces to ensure that this ludicrous idea never happens. Last year, Sir Ranulph Fiennes, Bill Oddie, Peter Egan, and a cross-party group of MPs rallied against proposals to lift the ban, claiming that allowing hunting could force the species to the point of extinction. When the 2014 ban was imposed, the government had said it was moved to act after indications of ‘several species in the country’ showing declines. The ban permitted hunting in registered and private game ranches. Some have argued that the rules may have been a detriment to the animals and people alike. NPR reports that a spokesperson for conservationist non-profit organisation Elephants Without Borders said: ‘Some people are worried that elephants have recovered in greater numbers than the environment can sustain, and there is significant concern over increasing human-elephant conflict. 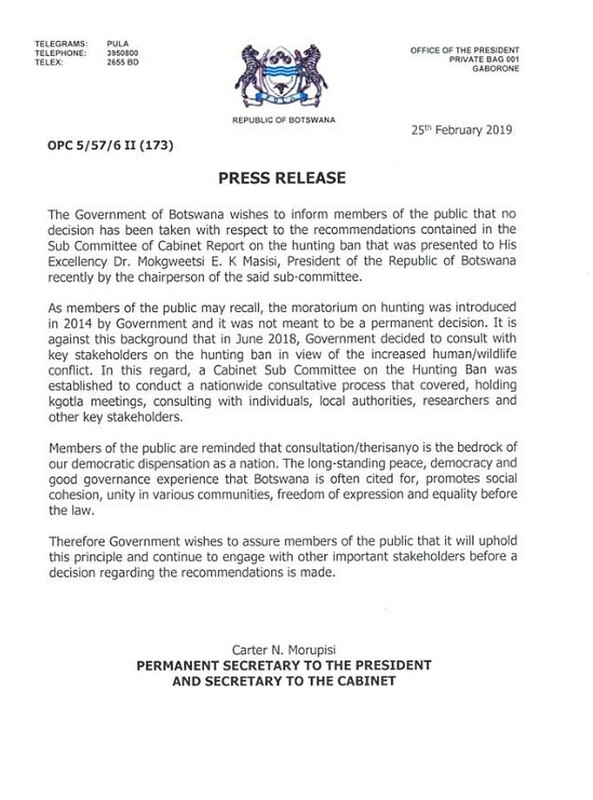 Botswana’s Government published a statement on Twitter outlining how it had not taken a decision regarding the committee’s recommendations. It read: ‘The Government of Botswana wishes to inform members of the public that no decision has been taken with respect to the recommendations contained in the Sub Committee of Cabinet Report on the hunting ban that was presented to His Excellency Dr. Mokgweetsi E. K Masisi, President of the Republic of Botswana recently by the chairperson of the said sub-committee. ‘As members of the public may recall, the moratorium on hunting was introduced in 2014 by Government and it was not meant to be a permanent decision. It is against this background that in June 2018, Government decided to consult with key stakeholders on the hunting ban in view of the increased human/wildlife conflict. ‘In this regard, a Cabinet Sub Committee on the Hunting Ban was established to conduct a nationwide consultative process that covered, holding kgotla meetings, consulting with individuals, local authorities, researchers and other key stakeholders. ‘Members of the public are reminded that consultation/therisanyo is the bedrock of out democratic dispensation as a nation. The long-standing peace, democracy and good governance experience that Botswana is often cited for, promotes social cohesion, unity in various communities, freedom of expression and equality before the law. The statement was attributed to Carter N. Morupisi, Permanent Secretary to the President and Secretary to the Cabinet. Botswana, which is roughly the size of France, has a population of around 2.3 million people and contains vast tracts of remote wilderness that make it a magnet for foreign tourists who want to view wildlife. International tourism could generate £160m for Botswana this year, rising to £280m by 2021 – more than trophy hunters spend across the whole of southern Africa. Brown published her exposés of the failure of the cormorant killing to help salmon and steelhead on the same day that ANIMALS 24-7published Why killing predators won’t bring back the salmon, examining and exposing schemes pursued by a variety of state and federal agencies to try to recover salmon and steelhead by killing gulls and California sea lions. This photo of a mountain lion provided by Colorado Parks and Wildlife is not one of the animals involved in last month’s West Glenwood sightings. In the weeks since local wildlife officials began to receive reports of mountain lions near homes in West Glenwood, threatening dogs and stalking humans, criticism of the way Colorado Parks and Wildlife handled the situation persists. After numerous reports of mountain lions in and around Glenwood Springs, caught on infrared video and at least one personal encounter, officials trapped and killed five of the big cats in January. That decision has prompted strong reactions from Glenwood Springs Post Independent readers, wildlife advocates and people across the state who felt another solution should have been be exercised. CPW spokesman Mike Porras maintained that wildlife officials did not make the decision arbitrarily and used their years of knowledge and experience working with wildlife to determine that lethal removal of these animals was the correct solution. One comment Porras said he’d been hearing from those concerned with the actions is that “the wildlife officials took the easy way out.” He said he felt that was both untrue and hurtful to the wildlife officers who have dedicated their lives to protecting the state’s animals, environment and people. He said killing an animal is “the hardest decision” a wildlife officer has to make, and argued the easier move would have been to trap the animal, take it somewhere else and simply let it be — perhaps to its ultimate demise, regardless. CPW has received several comments in reaction to previous stories in the Glenwood Springs Post Independent and picked up by other media outlets statewide demanding the mountain lions be relocated instead of being euthanized. Relocating these particular lions, which had shown “no fear to humans,” was not a viable option for wildlife officials, according to Porras. Porras said that doing so could result in the lions returning to West Glenwood or moving into other human population centers. He added that the displaced lions could disrupt the ecosystem wherever they were moved, especially if there are other established lions nearby. Last week’s story reporting that five animals had been euthanized received responses from residents in Colorado, California and Washington state, some suggesting that it is the lion’s territory where humans are living. Others offered different solutions for officials. One example was from Washington, where the state’s department of fish and wildlife adopted a Karelian Bear Dog Program, essentially a hazing technique to try to get the animals to move elsewhere. The primary purpose of the program is to limit the many bear-human conflicts that occur in Washington and reduce the number of bears that have to be lethally removed, according to the state website. Porras said these types of hazing techniques are used by wildlife officials throughout Colorado, but added that with these particular lions it was not considered an option because there was no guarantee the hazing would result in new learned behavior for the full-sized predators. by Erin Ross Follow OPB Nov. 7, 2018 11:30 a.m. | Updated: Nov. 8, 2018 8:40 a.m. Problem encounters with cougars have increased in Oregon’s Willamette Valley. A fatal cougar attack has reignited debates over hound hunting and cougar management in Oregon. Groups of Oregonians, particularly hound hunters, say that Oregon’s cougar population is growing out of control. Cougar advocates, on the other hand, say that Oregon is over-hunting cougars, which research suggests can lead to an increase in problem encounters. But before you can figure out if Oregon’s cougars are being over-hunted or under-hunted, you need to know how many cougars there are in the state. The Oregon Department of Fish and Wildlife estimates there about 6,600 cougars here, and possibly as many as 7,600. That’s three times higher than the numbers reported Washington or Idaho. It’s even slightly higher than the estimate for California: 4,000 to 6,000 cougars are thought to roam the massive state. But hunting groups, ranchers and Oregonians who live in cougar country say the Oregon’s cougar count severely underestimates the state’s actual population. Conservationists argue it’s too high. Biologists and wildlife officials from other states say it’s a lot more complicated, and more than just a question of numbers. One of the big reasons Oregon’s number is so much higher than its neighbors’: Oregon’s estimate includes kittens, which rarely survive to adulthood. Oregon does not count the juveniles of any other game species, like elk or bighorn sheep. 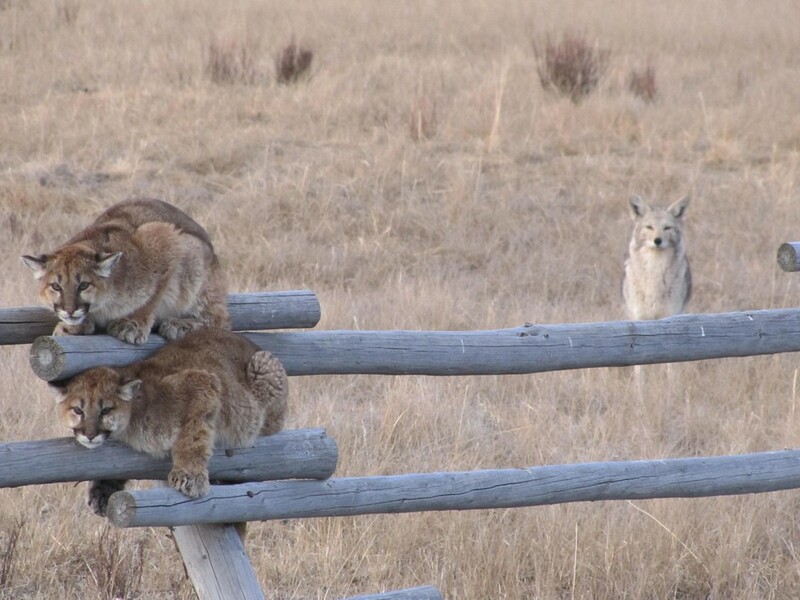 Two juvenile cougars hide on a fence to avoid territorial coyotes in Wyoming. Cougar kittens rarely survive to adulthood. “The fact that they don’t clarify themselves every time says that they want people to assume there are 6,600 big cats running around the state,” said John Laundré, a predator ecologist at Western Oregon University. “They don’t include babies for other ephemeral species, like ducks or deer.” And only adult animals can be hunted. Derek Broman, ODFW’s state carnivore biologist, said whenever he gives a presentation he makes it clear that all ages are included in official population estimates. But there’s no mention of that on the department’s cougar webpage, and you have to look deep into the cougar management plan find adult cat estimates. A brochure specifies that the population includes all age classes, but never offers adult numbers. Even if you exclude kittens and juvenile cougars from population estimates, Oregon still reports some of the highest densities of adult cougars in the country. Washington’s research into cougar densities dates back nearly two decades and includes seven study areas. Across those areas, the state has documented consistent findings: Roughly two cougars for every 100 square kilometers, said Rich Beausoleil, the bear and cougar specialist at the Washington Department of Fish and Wildlife. He said Washington’s cougar-density numbers are consistent with what other studies — except Oregon’s — report. Oregon Department of Fish and Wildlife’s surveys found adult densities twice that, depending on the ecosystem. “I’ve not seen such high densities anywhere in the world,” said Rob Wielgus, former director of the Large Carnivore Conservation Lab at Washington State University, commenting on a controversial density survey conducted by Oregon. Beausoleil has spoken to ODFW about the state’s population estimates before, and has criticized the design of Oregon’s studies, which he says will naturally overestimate regional populations. Derek Broman says ODFW controlled for overestimation and stands by their data. 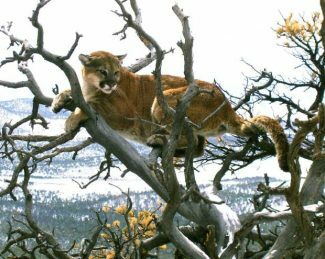 It’s not unusual for cougar surveys to arrive at different conclusions, said David Stoner, a cougar biologist at Utah State University. Cougars are extremely hard to study because they’re so hard to find. ODFW says these surveys confirm their statewide population estimates, which they calculate using a model. They estimate statewide density by mapping cougar deaths, and then add expected birth rates. They also tweak the numbers depending on food availability in the region. 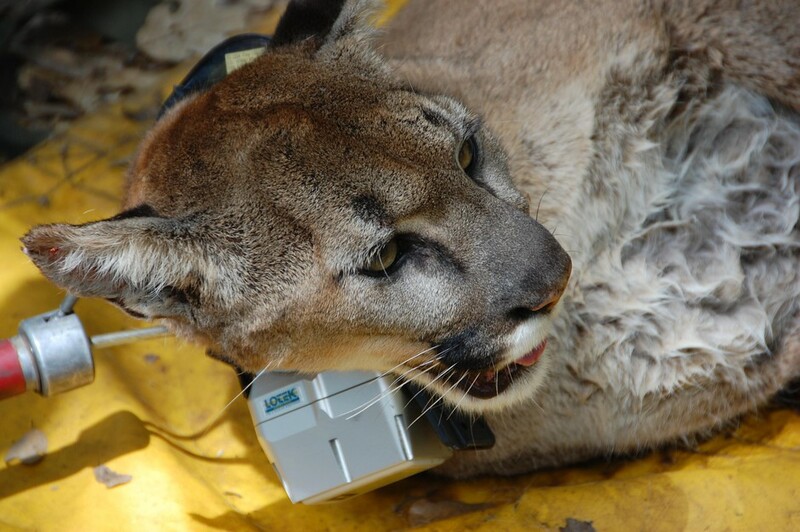 A tranquilized cougar is fit with a radio collar in California. All of this might seem like an internal debate about the best way to count cougars. Everyone agrees that at one point in the 1960s there were only 200 or so cougars in the state, and today there are several thousand. The cats are in no danger of going extinct. But a lot rides on accurate population estimates. Not only do these numbers tell management officials if populations are growing or shrinking, they’re used to help set hunting quotas for each region. Some scientists found that when cougars are over-hunted, problem encounters with humans and livestock increase. Wielgus, who has left Washington for the Bend area, was one of the first to identify such a link. “In the 20 years of research I did with WDFW, we conducted the largest study of cougars ever done anywhere. We found that heavy retaliatory killing or preventive killing actually causes increased problems,” he said. It works like this: Female cougars have smallish overlapping territories that seem to fluctuate with prey abundance. Male cougars have larger, non-overlapping territories that encompass multiple female ones. This movement of younger animals also means it can be difficult to tell if a population is declining due to overhunting or staying the same. Wielgus is a controversial figure in the predator management community, in part for research indicating that hunting wolves can increase attacks on livestock. He says he was silenced and forced out of his position at Washington State University because of his work. 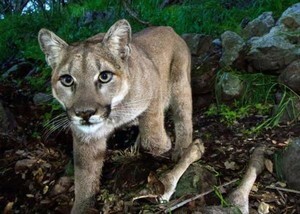 A 10-month-old cougar is startled by a trail camera in the California mountains. The Oregon Department of Fish and Wildlife includes juvenile cougars in their total population estimates. A smattering of papers have attempted to debunk his cougar research, but even more have supported it. One of the most recent was a massive, 30-year look at hunting and problem cougars in British Columbia. For their part, the Washington Department of Fish and Wildlife stands by Wielgus’ research and their own: Today, they manage cougars specifically to avoid the consequences of over-hunting. “Our management philosophy is to manage for the social stability of the animal. We want to promote territoriality,” Beausoleil said. WDFW’s data shows that when more than 14 percent of a cougar population is harvested in a given region, the population starts to skew young, territories dissolve, and problem encounters increase. To avoid this, they split the state into 49 game management units, and each unit allows 12 percent to 16 percent of cougars to be taken. When one of those units reaches that quota, it closes, and hunters can go to an adjacent unit. It’s not a perfect system: Sometimes, it can take a while to close a unit, and more cougars are killed. At first glance, Oregon seems to be following Washington’s no-conflict guidelines: On average, Oregon’s hunters take less than 14 percent of the state’s big cats each year. But unlike Washington and Montana, where there are dozens of game management units used to set cougar quotas, Oregon’s cats are divided into just six large regions, which makes it more difficult to track regional densities. The statewide quota for 2018 is 970 human-caused deaths — a whopping 27 percent of the state’s estimated 3,500 adults. Per the cougar management plan, the quota serves as a mortality cap, and not a target. The statewide quota has never been filled, but some of the game management units regularly approach theirs. Zone A, which includes the region where the hiker was attacked, covers the North Cascades and the coast. 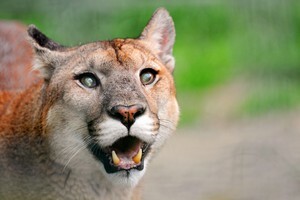 As of Nov. 6, its humans have killed 167 of the 180 allowed cougars. ODFW estimates there were 989 cougars of all ages in Zone A in 2015. If half of those were adults, then roughly one third of adult cougars in the region were killed: Research suggests that’s a number high enough to cause conflicts with humans. Overhunting cougars can have impacts on cougars’ societies, too. Once thought of as loners, recent research has revealed cougars’ social lives to be much more complex than previously thought. Mark Elbroch, the director of the puma program at wildcat conservation organization Panthera, studies cougar communities. He’s found that the mountain lions within one male’s territory function like a society: They interact non-aggressively and seem to frequently share food, a favor that’s apparently returned in the future. “You can imagine that overhunting will have huge impacts on these social networks and organizations, on the glue that holds them together as functioning groups,” Elbroch said. 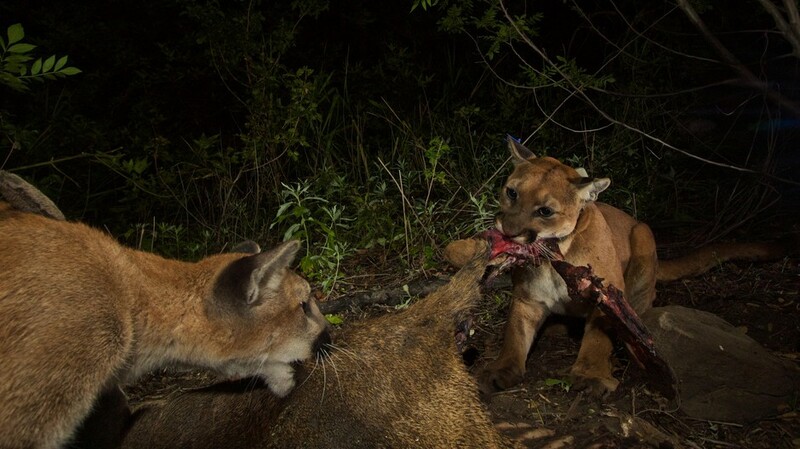 A radiocollared cougar shares a kill with another cat, thought to be her cub. Cougars have been found to share kills with related and non-related cats, though they rarely eat at the same time. And anecdotally, he’s seen the impacts of removing one large male from that society. After one of his study males was killed by hunters, he noticed a nearby male start to encroach on the old territory, just enough so that it crossed paths with a female and her two cubs. The female charged the strange male, and died. Her cubs lasted a little while, but eventually both died. “One could argue that one bullet killed four mountain lions,” Elbroch said. 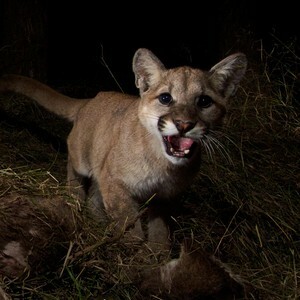 Oregon officials may dispute the idea that their management practices lead to more problem cougars. But the state does remove more such animals than neighboring states. In 2017 there were 462 such complaints, and 175 cougars were killed. Those numbers remain fairly stable from year to year, though they’ve risen dramatically in the Willamette Valley. In comparison, about 100 cougars are killed in California each year for attacking livestock. In 2016, 46 nuisance cougars were killed in Washington. Hunters say that the best way to combat these problem cats is to increase hunting. But unless a large number of cougars are removed over a large area, more will just move in to take their place. Which is why some are calling for a return to hound hunting. The theory is this: Hound hunters, unlike normal hunters, can be selective. If their dogs tree a cougar, the hunter can choose if it’s going to be a worthwhile trophy. If the animal is small or female, the hunter can pull their dogs off the tree, and the cougar can live. This, say hound hunting advocates, creates a population of scared cougars, who will run away as soon as they hear a human in the forest. Laundré and Elbroch are skeptical that hound hunting leads to scared cougars, but other biologists think it’s not impossible. Unfortunately, that selectivity targets large toms: the exact animals many biologists say are necessary for maintaining cougar social stability. Indeed, when hound hunting was banned in Oregon, the average age of cats killed dropped. Washington Department of Fish & Wildlife Director Kelly Susewind announced plans Wednesday for the agency (WDFW) to kill at least one of the wolves reportedly responsible for a recent rash of attacks on cattle in Ferry County, according to a department news release. It’s the second time this year that WDFW has resorted to killing wolves as confrontations between the animals and cattle continue to bedevil the agency responsible for the canine species’ recovery in Washington state. A WDFW marksman earlier this month shot and killed a member of the Togo wolf pack, which was also preying on Ferry County cattle. Two conservation organizations filed a legal challenge over the agency’s decision about the Togo wolf. That lawsuit is ongoing. WDFW will not be able to kill members of the new wolf pack until Thursday afternoon, and new legal challenges loom. Amaroq Weiss, a wolf advocate for the Center for Biological Diversity, said her organization will seek a temporary restraining order to prevent the killing. The wolf pack WDFW plans to target has tried to prey on cattle six times this month on federal grazing lands, killing one calf and injuring five others, according to WDFW. The pack, which was first identified by the department in May, is so new it does not have an official name. The agency believes the pack is made up of three or four adult wolves and two pups. WDFW biologists were able to collar the new pack’s adult male earlier this summer. The wolf pack is living in the Kettle River Range, the same area that the Profanity Peak Pack once occupied. WDFW killed the members of the Profanity Peak Pack in 2016. Last year, the agency also targeted the Sherman Pack nearby. Because it’s the third year in a row the agency intends to kill wolves in the area, some conservation organizations, including those that have supported lethal removal in the past, wonder if it’s time to try something new. “It’s a really highly desirable landscape for wolves to be in. They keep coming back,” said Paula Sweeden, policy director for Conservation Northwest. She said the area is thickly forested, steep and often roadless. Cattle there are widely dispersed, which makes it difficult for range riders to keep track of them. Sweeden said it was clear that the nonlethal methods employed by ranchers to prevent wolves from preying on cattle were clearly not working, but killing wolves there was not working, either. Why thousands of barred owls are being shot by U.S. conservationists? Is it fair to kill one species to save another? 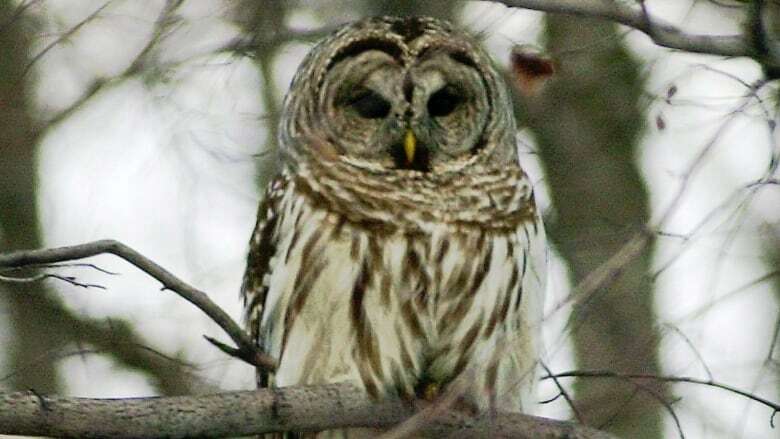 Humans shouldn’t be interfering with nature by killing one species to save another, according to a lawyer who is working to oppose a cull of barred owls. 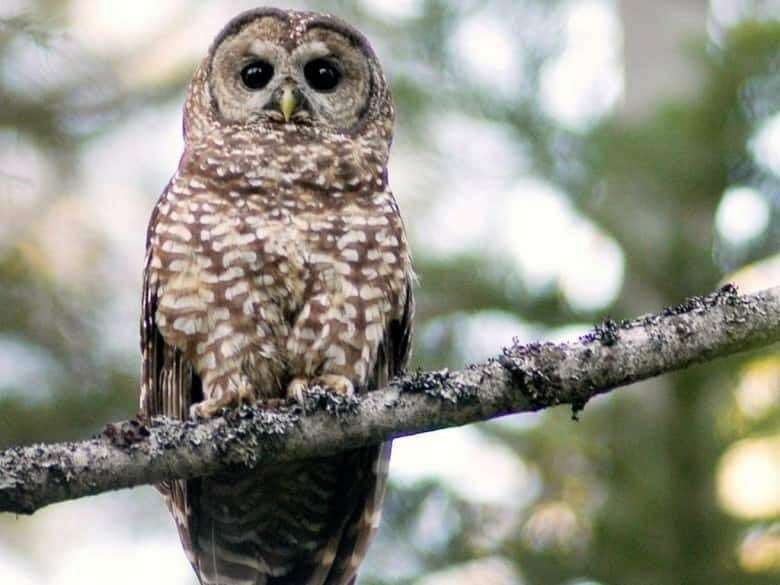 The owls are being shot by conservationists in the Pacific Northwest in an effort to save their feathered cousin, the critically endangered spotted owl. “We shouldn’t be choosing sides,” said Michael Harris, the director of the wildlife law program at Friends of Animals. His group opposes the cull and is preparing a second lawsuit to try to stop it. “We really believe that they need to be given that opportunity to see if they can coexist in their new environment,” he told The Current’s guest host Piya Chattopadhyay. Barred owls are relatively new to the west coast, having spread across the continent via the towns and cities that have grown in the last century. They’re bigger and more aggressive than the spotted owl, and have been pushing them out of their nesting grounds, which is what has prompted conservationists to cull their numbers. About halfway through a six-year experimental cull, roughly 2,000 of the birds have been shot in Oregon, Washington and California. Harris argued that the barred owl is just doing what it’s supposed to do: finding ways to survive and prosper. Animal ethicist William Lynn said by destroying the owls’ habitats, humans contributed to the problem in the first place. “This is not natural evolution,” he told Chattopadhyay. Lynn was hired by the U.S. government to examine the ethics of killing the birds. While “we can’t kill our way back to biodiversity,” he ultimately came to support the cull. Government conservationists have explored non-lethal ways to manage barred owl numbers, but they just don’t work, he said. He argued that when you weigh the value of a barred owl’s life against the chance that the endangered spotted owl species will become extinct, the barred owl loses. “Barred owls are doing great across North America. Spotted owls are critically endangered,” he said. The culling is an experiment, he added, and is not expected to continue indefinitely. “This experiment is to remove some barred owls to see whether spotted owls can form a refugia, a sort of a defensible territory in which they can live and flourish in the wild. In front of me is a small booklet with the catchy title, A Critical Evaluation of the Proposed Reduction in the Mid-continent Lesser Snow Goose Population to Conserve Sub-arctic Salt Marshes of Hudson Bay. It was published by the Animal Protection Institute (now Born Free USA) and the Humane Society of the United States in 1998, and co-authored by biologist Vernon Thomas and me. The arguments we made failed to stop the U.S. and Canada from enacting an absurd increase in bag-limits and open seasons and the use of electronic decoys for hunters after the “lesser” snow goose, which breeds in the mid to western arctic. The geese had undergone dramatic increases in numbers. For reasons too complex to address here, it was feared they’d damage large parts of the arctic ecosystem by their habit of “grubbing” – pulling plants out by the roots when feeding. They were called “overabundant,” a term that is entirely in reference to subjective value systems. What bothered me then, and what bothers me now, is the lack of scientific rigor in the documentation presented to defend the vast increases in hunting kills proposed and enacted. References to previous high numbers of snow geese were misrepresented or ignored. We made several predictions, and in the two decades since then, we’ve been proven correct. Put simply, one prediction was that the proposed hunting increase wouldn’t work. It didn’t. We predicted that the real threat to arctic and subarctic ecosystems came from global climate change. That is proving to be true, too. But, governments and the public trust wildlife management types have made something out of a career out of alarmist rhetoric about the population “explosion” in these geese, and in the Ross’s goose. Sadly, they are believed. Ross’s goose is a smaller version of the snow goose and was apparently once reasonably abundant (it’s hard to know as early observers tended not to distinguish it from the snow goose), but had become endangered by the early 20th century, and is now again common, perhaps more so than ever before. The Americans have already been shooting extra numbers of this species and, although we were able to slow Canada down, years ago, now it has again proposed an increased bag limit for Ross’s goose. I have written to the Canadian government in opposition to increasing bag limits for this small goose. Beyond a “natural” tendency people attracted to wildlife management have to “manage,” to control, nature, what I think was behind the original concern two decades ago can be seen here. Numbers of hunters were in freefall, and it’s hunting that justifies so much of the wildlife management profession and pays the expenses and salaries of wildlife management professionals. But, not only are increasing numbers of people taking pleasure from viewing and photographing – but not killing – wildlife, even many who dohunt refuse to kill more than they can eat, and, as we predicted, just knocking the top off the population curve allows high numbers of these species to continue. Around 3,000 ravens are hunted each year, which has lead to a serious decline in their numbers, reports RÚV. Ravens are hunted because of the damage they can cause to crops and other bird species due to them feeding on eggs. Unlike many other bird species, however, there is no designated hunting season for Ravens and they can, therefore, be hunted freely all year round. Kristinn Haukur Skarphéðinsson, a bird expert from the Environment Agency of Iceland said that actions need to be taken to preserve the species. In the late ‘80s there were around 13,000 ravens in the country, but since then the numbers have rapidly dwindled. He claimed that the agency will meet with the Björt Ólafsdóttir, the Minister for the Environment and Natural Resources later in the month to reiterate its view that Icelandic ravens should be protected, if they are to survive as a species. Throughout history the raven has been considered the holiest and most revered bird in all of the Nordic countries. Óðinn had two, some of the first settlers used them to find shore and sometimes they were even seen as gods. But who cares about history and cool animals, right? 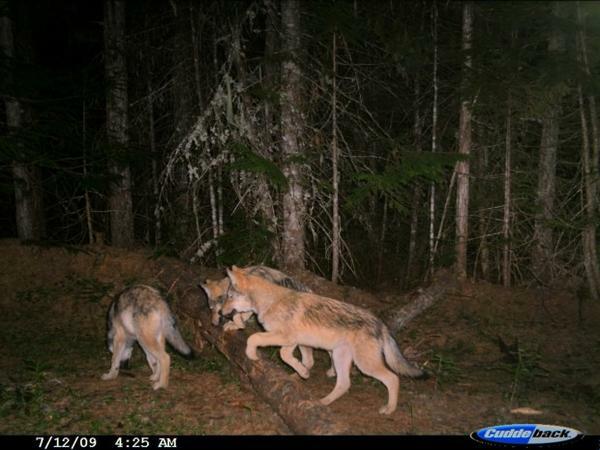 Wolf cubs are caught on a trail camera in Washington state in 2009. Washington’s wolf population has grown from around only a dozen wolves in 2009 to 115 by 2016. As the state’s population grew, ranchers became more familiar with wolves attacking their cattle and sheep. The long hunt finally paid off on the night of Aug. 6 for two employees of the Oregon Department of Fish and Wildlife. They’d spent a combined 85 hours and driven 752 miles in pursuit of the Harl Butte wolf pack in the northeast corner of the state. They had already come close, spotting wolves twice but never firing a shot. But finally, on a Saturday evening, they killed a young male. Two days later, an Oregon Fish and Wildlife employee fired a kill shot from a helicopter while patrolling the rolling forests and pastures. This time it was a young female. The wolf-killing mission was meant to halt a pack that was helping itself to ranchers’ livestock. It won’t work, thought Todd Nash. He and other local ranchers wanted the whole pack gone. “If there was a gang in downtown Portland and there was 13 of them and you randomly took two, you didn’t know if they were the ringleaders or what they were … would you expect to have a positive outcome?” Nash said. It turned out Nash was right; it didn’t work. Weeks later, some of the Harl Butte pack’s surviving wolves tore into a 450-pound calf. It was found dead in a pasture Nash leases, with bite marks across its legs, flanks and hocks. So Oregon wildlife officials killed two more wolves. Weeks later, they said the depredations had stopped. They hadn’t. The Harl Butte pack struck again in late September, killing a 425-pound calf. As the number of wolves in Oregon and Washington has grown, wildlife managers are increasingly turning toward lethal tactics to keep them away from ranchers’ livestock. State governments in the Northwest now spend tens of thousands of dollars to kill wolves that prey on cattle and sheep. State wolf managers are walking a tightrope: growing and sustaining a population of wolves while limiting the loss of livestock for the ranchers who make their living where the predators now roam. Managing wolves in the West is as much about politics, economics and emotion as it is about science. To balance the costs of killing wolves, ecological needs and the concerns of ranchers and wolf advocates, it’s the policy of both Oregon and Washington to kill wolves incrementally — starting with one or two at a time. But in making that compromise between preserving wolves and preventing livestock damage, they’ve taken a course of action that scientific evidence suggests could achieve neither. Policies and practices in both states go against a growing body of research casting doubt on the overall effectiveness of killing predators. Neither state follows recent recommendations from top researchers that their efforts to control predators be conducted as well-designed scientific studies. And neither follows the primary recommendation from the research most often used as evidence, which found killing most or all of a pack is the most effective form of “lethal control” to reduce ranchers’ damages. Instead, some scientists and advocates say, Oregon and Washington are risking harm to the Northwest’s wolf population without ever reducing predation on cattle and sheep. Northwest wildlife managers say they use lethal control, in part, to increase people’s willingness to tolerate wolves. Treves said there’s little data to support that it’s actually helping shape public opinion to accept wolf reintroduction. In fact, Treves has published research suggesting otherwise: that government-sanctioned killing of wolves may actually embolden individuals to illegally do the same. He and others have called on governments to re-evaluate their predator control policies. Treves was also one of multiple scientists who filed comments with the Oregon Department of Fish and Wildlife, saying his research and others’ had been misinterpreted in the state’s revision of its wolf management plan, which Treves and others criticized for being biased in favor of lethal control. Lethal control policies in both Oregon and Washington are getting pushback from wolf advocates. In Oregon, multiple groups have called on Gov. Kate Brown’s office to intervene. The governor’s office has not publicly responded and did not respond to requests for comment. In Washington, two environmental groups filed a lawsuit in September claiming the state’s approach to killing wolves is unnecessary and that its protocols do not satisfy Washington’s State Environmental Policy Act. Donny Martorello, wolf coordinator for Washington Fish and Wildlife, said the state has seen mixed results with lethal control. “We’ve had situations where we’ve initiated lethal removal and had to stay with it for quite a period of time. Removing more and more wolves because the conflict kept going and going and going,” he said. In other cases, he said, it seemed to reduce the conflict. Martorello said the decision to kill wolves to is not about decreasing long-term livestock losses. It’s about intervening in an escalating situation, where prevention has failed and a rancher’s cattle or sheep are dying. However, that study’s authors do not make claims about changing behavior, and attribute any lower recurrence of attacks on livestock to the increase in human activity nearby — not anything specific to lethal control. That study also found no correlation between killing a high number of wolves and a reduction in livestock depredation the following year. In mid-October, Nash was hauling bags of mineral feed to where his cattle graze in the Wallowa-Whitman National Forest. He kept stopping along the snowy road. They were fresh and led toward cattle. Nearby, a state biologist and the local range rider were doing the same. From time to time, Nash checked in and shared what he knew. In Oregon, like in Washington, wildlife managers only kill wolves if demonstrated non-lethal efforts to deter wolves have failed. Those preventative measures have been adopted inconsistently, and with mixed reviews. Many say they’ve seen improvements by removing bone piles that attract wolves and by increasing human presence. Here, Nash said he’s had someone in the pasture nearly every day, including his own cowboys, a county range rider and a friend he hired to camp nearby. Cattle die for many reasons on the open range. Wolves account for only a fraction of ranchers’ losses, according to U.S. Department of Agriculture figures. In the Northwest, documented kills by wolves amount to a few dozen per year in a region with more than two million cattle. But for an individual producer, wolf damage can be a devastating blow. Especially when it’s on top of added stress and added costs of preventing wolf attacks. Turning cattle out to roam after a long winter used to be a time to relax and celebrate, Nash said. This past summer’s wolf killings are in the same area where Oregon officials previously killed four members of the Imnaha pack. Nash said killing wolves from the Imnaha pack bought ranchers temporary relief from the predators. But, eventually, a new pack moved in. After a few hours on snowy roads in the Wallowa-Whitman National Forest, Nash had no wolves in his sights. He decided to head home. In most Western states where wolves live, ranchers can submit claims for financial compensation for cattle killed by wolves. But Nash said that’s a poor substitute for losing one of the cows or calves he takes pride in and cares for. Lethal control has broad support from farmers and ranchers. It’s seen as a crucial tool to protect livestock. Government killing of predators is common worldwide — from wolves, cougars and coyotes in the American West to dingos in the Australian Outback. In the United States, the federal government’s Wildlife Services agency has killed more than two million mammals since 2000. “It’s not fair to our farmers,” said Australia-based scientist Lily Van Eden, who published a paper on the subject in 2017. Examining past studies of the various techniques used to control predators, Van Eden found wide swings in results. That includes two studies of lethal control and one of guardian dogs that all showed increases in livestock losses. Van Eden’s paper was one of four published in the past two years examining the current landscape of predator control research. Each team reached the same conclusion: there is not sufficient evidence to say if and when killing large carnivores, such as wolves, actually achieves the desired result of reducing the loss of cattle or sheep. The same can be said for most non-lethal techniques. Much of the research into the topic of both lethal and non-lethal predator control is flawed in one way or another. Of the research that does exists, more studies showed lethal control efforts to be ineffective or counterproductive at reducing ranchers’ losses. Without gold-standard research on the subject, existing data can be used to justify opposing positions. Take, for instance, a study published in 2014 led by Washington State University professor Robert Wielgus. It used data from the wolf population in Rocky Mountain states. The study showed livestock lost to wolves actually increased after some wolves were killed. It was criticized for not adequately accounting for changes over time. A University of Washington team re-analyzed the data and published essentially the opposite finding, only to be criticized for over-correcting and making their own statistical errors. Exactly how killing wolves could lead to an increase in depredations is not well understood. But there are several possible factors: Removing a pack could allow new wolves to move in, creating disruptions and unusual foraging techniques. Removing part of the pack could displace the remaining wolves to neighboring farms or pastures, who then prey on livestock. Or the pack could be weakened, limiting its ability to successfully hunt its natural prey of elk and deer. That paper’s findings do not wholly endorse what Oregon and Washington are doing when they kill only one or two wolves at a time. “There wasn’t very much gained by such a small partial pack removal. You gain about two months,” Bradley said. The study concluded killing one or two wolves from a pack meant an average of about two months until the next wolf kill. With no action taken, that time between wolf attacks was a little less than a month. That’s a marginal difference compared to eliminating the full wolf pack, which resulted in an average of about two years until the next wolf attack. Ranchers like Todd Nash say this is a good reason to favor full pack removal. Bradley acknowledged removing a full wolf pack isn’t always an option. But if you’re going to kill only one or two members of the pack, she found, it has to be within a week to be most effective. Bradley said her study wasn’t intended to endorse or condemn killing wolves but rather to offer guidance on how to be most effective. Exactly why, she doesn’t know. But she suspects it increases the likelihood of shooting the culprit wolf. Washington officials say they aim to respond within two weeks after a depredation. Oregon’s last two state-sanctioned wolf killings were carried out 10 days and 19 days, respectively, after a depredation. These wolf attacks on livestock often happen in remote areas and go undiscovered for stretches of time. Responding within a week might not always be an option. ODFW’s Broman said Oregon is testing out unproven methods like incremental pack killing because it doesn’t want an all-or-nothing approach. Wolf advocates have pushed non-lethal alternatives to killing wolves to reduce livestock depredations. They advocate techniques like hazing wolves, fencing off cattle or using guard dogs. But there’s also a lack of evidence on those. And they’re also expensive and time consuming for ranchers. A recent study done in Idaho by the U.S. Department of Agriculture and Defenders of Wildlife yielded promising results for non-lethal techniques. Over seven years, researchers found the rate of sheep losses due to wolves was 3.5 times lower in an area where they used only non-lethal techniques, compared to an area open to lethal control. That was in rugged, remote pastures where non-lethal techniques were used. That was a designed study with funding from conservation groups, the federal government and private donors. The study included field technicians who could help pen sheep at night and employ other wolf deterrents. The study’s author, Suzanne Stone of Defenders of Wildlife, said those non-lethal methods cost less money than Wildlife Services spent on killing wolves in nearby pastures. And those same methods are being used as part of a non-lethal program covering 10,000 sheep grazing across an area of nearly 1,000 square miles. Most ranchers don’t have the time or manpower to do what that study did, said Julie Young, a researcher for the government’s Wildlife Services. Young has been working on how to adapt non-lethal practices for widespread adoption. She said programs like lethal control and compensation for non-lethal measures, including the ones used in Oregon and Washington, are ripe for study.